Apple and Samsung rivalry is well known to all of us, specially the gadget and tech geeks.any a times both have gone to courts on copyright violation and stealing. 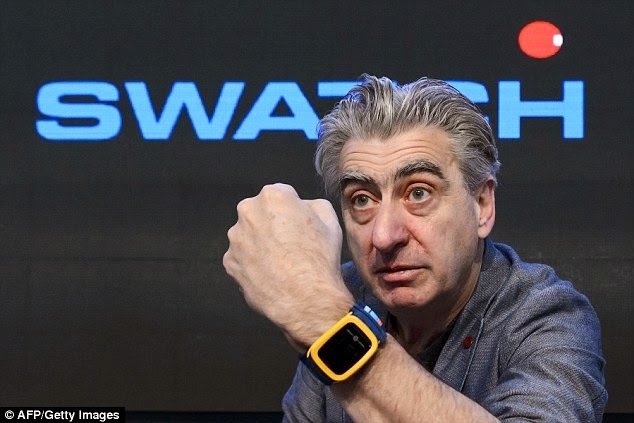 But there is a new warrior in the gadget field now: Not Samsung but Swatch, whose CEO Nick Hayek says he is coming up with a low priced smartwatch that doubles as a credit card and many more features. Something that may take Apple by surprise.